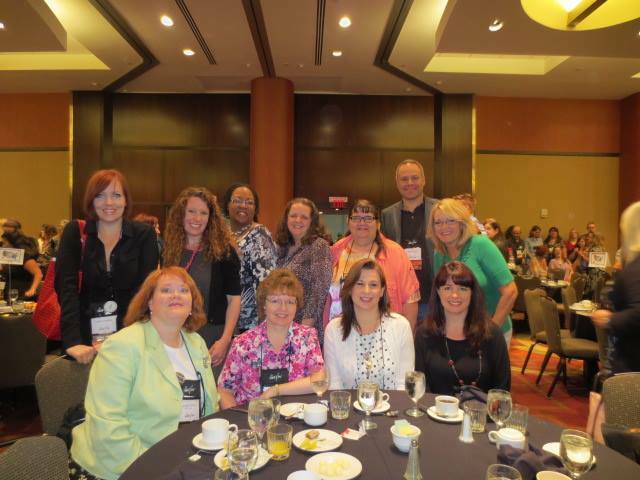 In mid-September I had the pleasure of attending my first American Christian Fiction Writers (ACFW) Conference in Indianapolis, USA. 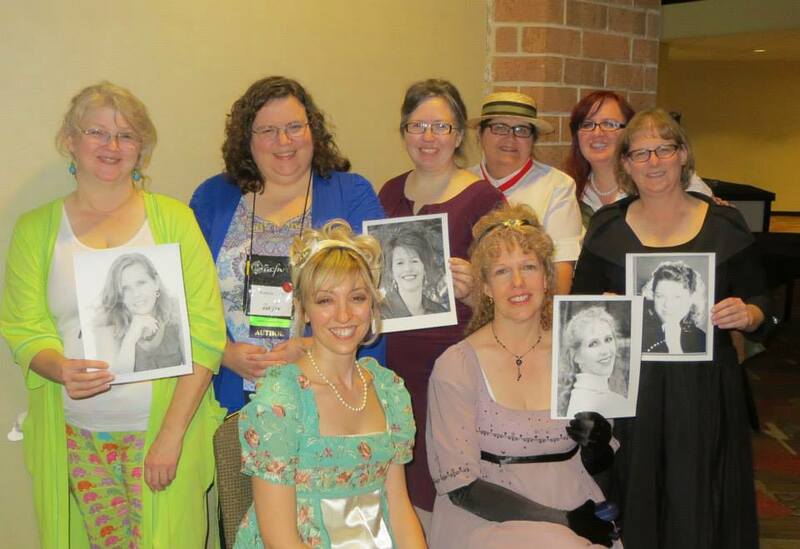 I’ve attended a number of Romance Writers of Australia conferences and I made the trek across the big pond back in 2008 for the Romance Writers of America Conference in San Francisco. This is the first writing conference I’ve attended as a newly contracted published author. I’m in the middle of a six-book contract with Love Inspired Heartsong Presents and, unlike many attendees, I didn’t have a manuscript to pitch. 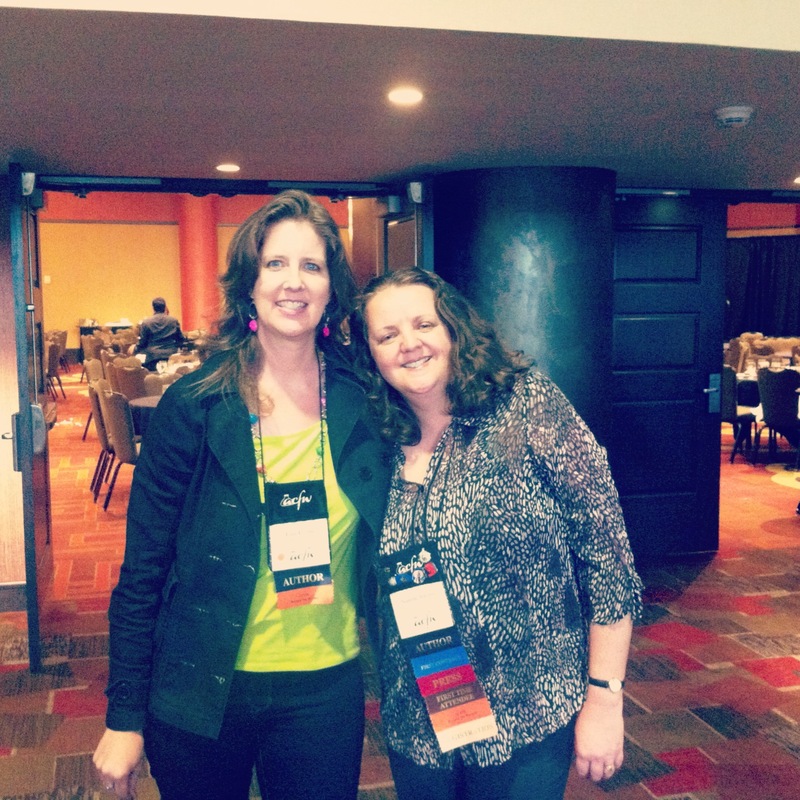 A definite highlight was meeting my editor, Kathy Davis, in person. It was wonderful to finally put a face and voice to the person on the other end of the emails, and to have dinner with Kathy and the Heartsong authors. Dorothy Adamek, Suzie Johnson and me. Dorothy Adamek, me, Debby Giusti, Missy Tippens, Suzie Johnson, Janet Dean, Mary Connealy. Back: Jennifer AlLee (photo: Dina Sleiman), Barb Early, Lisa Karon Richardson (photo: Niki Turner), Anita Mae Draper, Gina Welborn, Suzie Johnson (photo: DeAnna Dodson), Front: Susanne Dietze, Debra E Marvin (photo: CJ Chase). A benefit from attending ACFW conferences is the opportunity to have fifteen minute appointments with editors, agents and mentors. 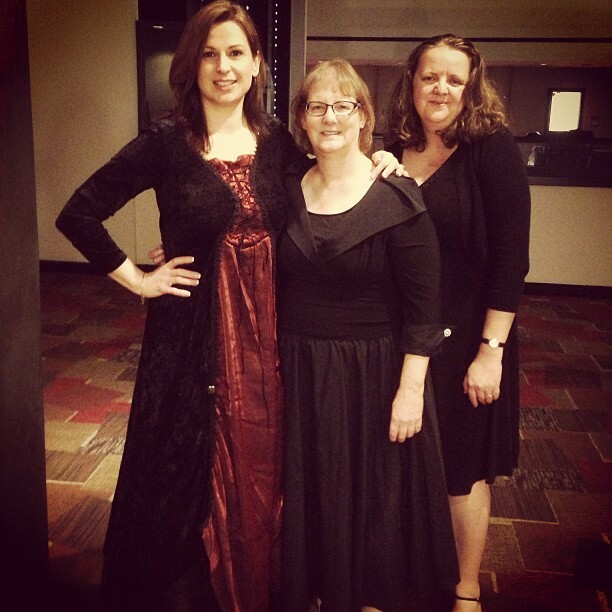 My appointments were a blessing and a valuable part of my conference experience. Writers who live in my part of the world can feel geographically isolated. The hub of Christian publishing is North America. The internet and social media have provided innovative ways for us to connect with people from all over the world. I belong to a number of writing organisations and group blogs where my participation is primarily online and through email groups. 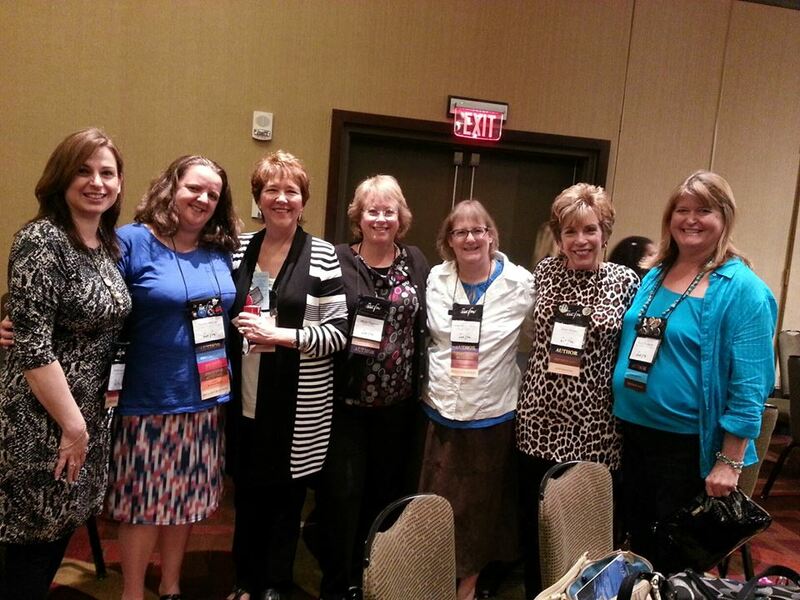 ACFW Beyond the Borders Zone group were able to meet in person at the Zone breakfast. There were writers from Canada, Australia, New Zealand, Bermuda and Norway at our breakfast tables. It was great to meet my International Christian Fiction Writers (ICFW) blogger friends Lisa Harris, LeAnne Hardy and Kara Isaac for the first time. Beyond the Borders group: Rachel McMillan, Megan Sayer, Karen DeBlieck, me, Anita Mae Draper, Kare from Norway, Cathy West, Susan Anne Mason, Dorothy Adamek, Cherie Gagnon. Another benefit from attending a Christian writing conference is the worship times that are scheduled into the program. It’s helpful to have time to stop, reflect on why we are at the conference, and focus on how we are writing for God’s glory. The conference ended with the gala awards dinner. We celebrated with the winners of the Carol Awards and Genesis Contest. A great way to end a brilliant and blessed conference. 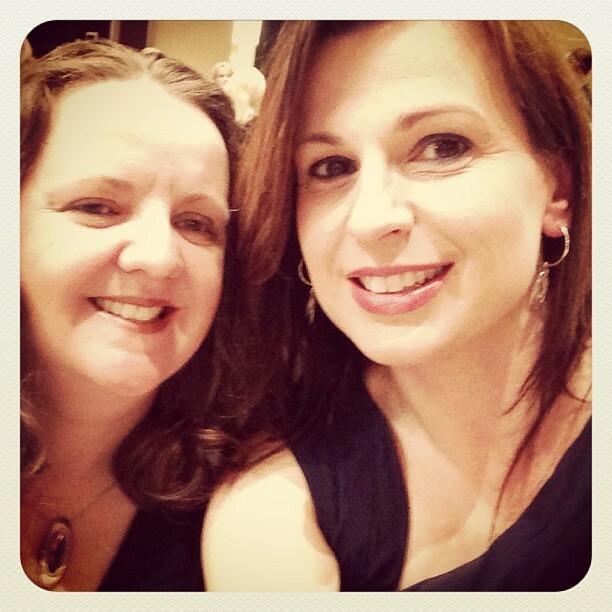 My Aussie friend Dorothy Adamek has posted more photos and conference highlights on her blog. Great Narelle that you benefited so much from the conference. Thank you for sharing your experience. Ian, it was a great conference. Thanks for stopping by.